One of the biggest perks of freelancing is being able to work from home. And that often involves a home office of some kind -- from a separate room to a corner of the kitchen table. This week we're going to take a look at tips and examples of home offices for freelance writers, and tips on keeping that home office organized. If you're still trying to figure out how to set your your ideal home office, check out these resources. You can read some of our own tips and see some of our offices in the related links below this collection. Do you have a photo of your home office design (or a favorite one you've been inspired by)? 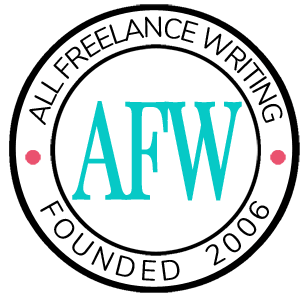 Do you have home office organization tips that might help other freelance writers? Leave a comment and tell us about it. I’m inspired by my own workflow. I have to have a desk large enough to hold the work-of-the-moment, my accounts payable/receivable files, and pens and paper. I have to have a place off the desk for storing not-so-urgent papers, and I need a place for my printer and office supplies. What I have now is okay, but not ideal. Definitely going to peruse these links, though. I need some fresh ideas!